MOSCOW—Red Square remains one of the globe’s most iconic locales. Next to the Kremlin wall is a small, squat, pyramidal building: Vladimir Ilyich Ulyanov Lenin’s mausoleum. Lenin is preserved within, dressed in a black suit, his face is grim and his right fist is clenched, as if he was ready to smite the capitalists who now dominate even his own nation’s economy. He is one of history’s most consequential individuals. Without him there likely would have been no Bolshevik Revolution, Joseph Stalin, Cold War, and Berlin Wall. Of course, without Lenin there still would have been a Bolshevik movement. But it would have lacked his intellect, tactical skills, and, most important, determination. So feared was he by his enemies that he became Germany’s secret weapon against Russia, sent back to Russia to spread the bacillus of radical revolution. Lenin pushed the Bolsheviks toward power as the authority of the moderate Provisional Government, which had ousted the Czar, bled away. 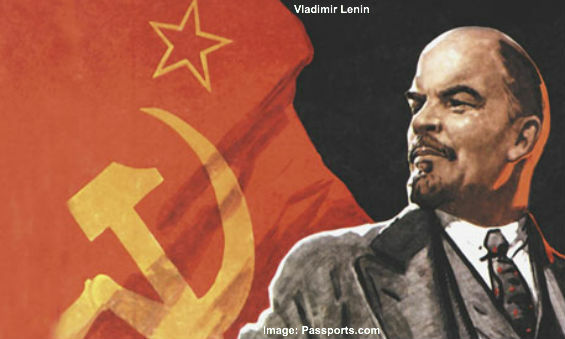 Lenin was no humanitarian whose dream was perverted by his successors. He insisted on solitary Bolshevik rule, brooked no dissent even within the party, established the Cheka secret police, and employed terror against opponents. Lenin was left helpless by three strokes. He died on January 21, 1924, just 53 years old. His body lay in state for four days, during which nearly a million people passed by. Within a week of his passing the idea of preserving his body was broached. The mausoleum started as wood and turned into the current granite and marble structure in 1929. Communist imagery, including Lenin’s mummy, came under attack with the dissolution of the Soviet Union. Moscow’s anti-communist mayor backed burying the corpse and restoring Red Square to its pre-revolutionary state. Boris Yeltsin, the first president of non-Communist Russia, also proposed to bury Lenin. But Yeltsin’s health faltered and political strength weakened. In 2001 Yeltsin’s successor, Vladimir Putin, expressed fear that burial would suggest the Russian people had lived under “false values” all those years. He concluded in 2011 that the decision would be made when the time was right. Yet the same year Vladimir Medinsky, then a leading member of Putin’s United Russia Party, proposed burying the corpse next to Lenin’s mother in St. Petersburg and turning the mausoleum into a museum. In 2012 Putin appointed Medinsky Minister of Culture, suggesting support for removing Lenin’s body. However, Putin failed to act and since has ignored the issue. While Russia cannot escape its history, it should stop glorifying the country’s turn down one of humanity’s great deadends. Although an unjust despotism, Imperial Russia could have been transformed into some form of constitutional rule. But by entering World War I the Czarist autocracy sacrificed that opportunity. The Provisional Government, led by liberal constitutionalists and democratic socialists, put the previous regime’s commitment to war before the Russian people’s interests. Unfortunately, the victorious Bolsheviks suppressed free markets, stole private property, crushed political dissent, murdered political opponents, imposed materialist ethics, and exalted ruthless dictatorship. The result was a sustained assault on the history, traditions, ethics, and very essence of the Russian people. Although Russians finally were able to turn back from this deadly detour, the same old authoritarianism has been born again, repackaged to make it more palatable to Russians today. Someday Russians will be free. Liberation will come only through the Russian people’s own efforts, however, not from the West. Only they can make their own future. The day liberty arrives will be the real Russian Revolution. Submitted by AlanKlees on Thu, 11/27/2014 - 00:35. I disagree with Mr. Bandow. For more than 50 years America has been transformed through the idea of Democracy, which was a lie. Castro lied in the 1960's and imposed a system like the one we now clearly see in America with the Obama Administration. Now we see the internet takeover. "Democracy" is a remnant of Lenin's work with us now. How can you say this era has passed? Poroshenko is lying. He is working with Putin, just as most our our American leaders are/were working with the globalists. If he did not go along, he would certainly be killed, just like our anti-communist leaders in the recent past. The Russians probably had a hand in the deaths of George Patton and Joseph McCarthy who probably poisoned. (It is macabre to think that Stalin's daughter died in Wisconsin some years ago--McCarthy's home State). A Russian sympathizer killed JFK, who was in the Republican camp. People are not stupid. Gullible. Ignorant. Yes. I, for one, believe what I see.